Etna – Trek to the top! 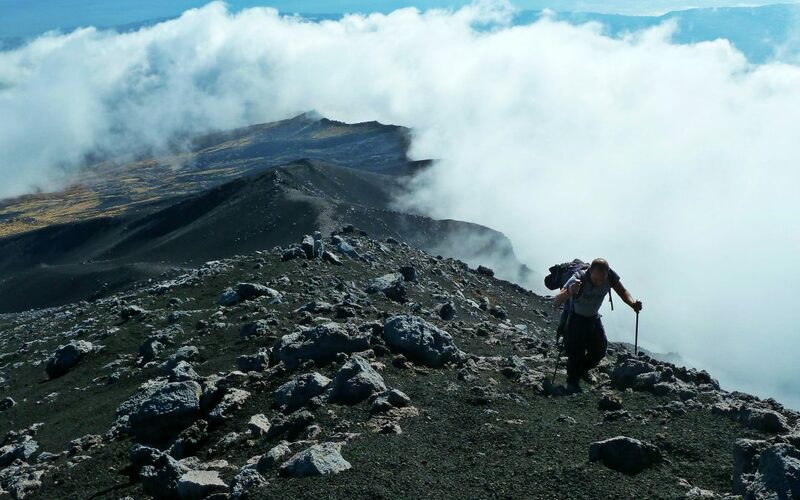 The conquest of Mount Etna: a trek designed for experienced hikers who want to experience the thrill of climbing in toto the highest active volcano in Europe! The tour include: Accompaniment by a geologist specialized in guided hiking in the area and a Mountain Guide for the active Creater; packed lunch including water and energy drinks; helmets and flash lights and other common materials. If you need backpacks, trekking shoes, walking sticks etc.. contact us to book it in advance! This trek is considered among the most difficult of southern Italy and is made with an authorized Mountain-Volcanological Guide. 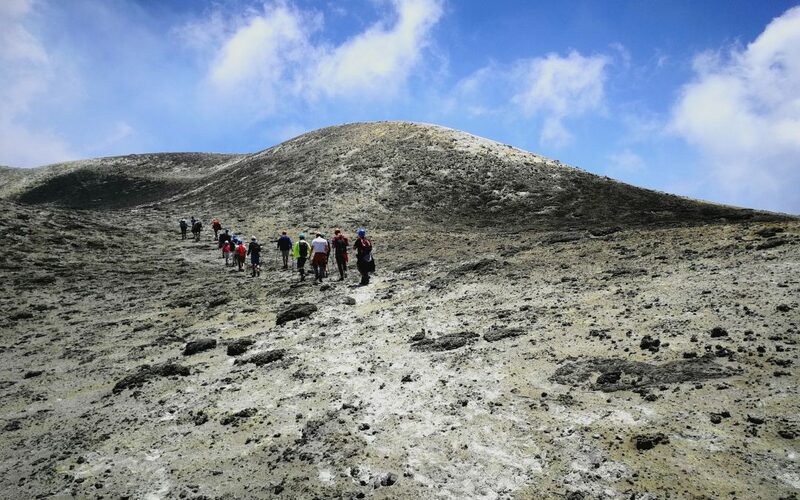 The aim is to offer the possibility to the brave adventurers to conquer the summit of the volcano without using jeeps or cable car: an authentic contact between man and the power of the volcano. The tour include: Accompaniment by a geologist specialized in guided hiking in the area; packed lunch including water and energy drinks; helmets and flash lights and other common materials. If you need backpacks, trekking shoes, walking sticks etc.. contact us to book it in advance! 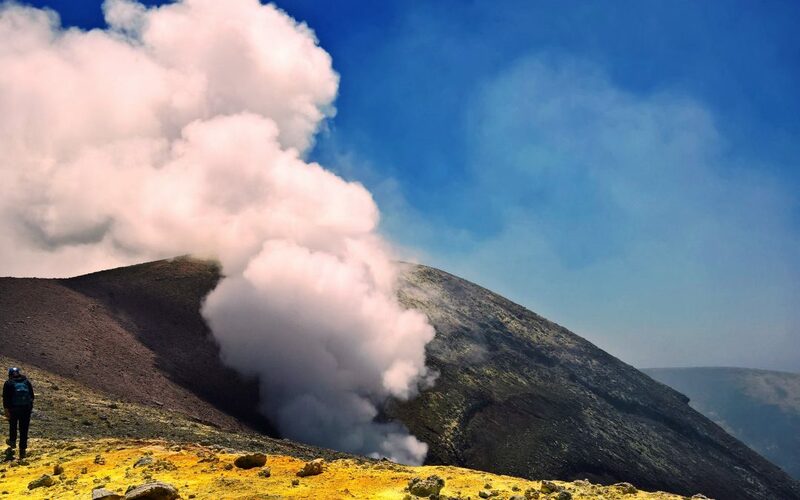 Etna is not only the highest active volcano in Europe, it is also a precious treasure chest guarding incomparable views, hundreds of impressive craters, dozens of lava caves and extraordinary naturalistic varieties. Thanks to these features, Etna is well-placed to be explored regardless of the altitude you reach. Our guides have made for you an authentic trekking itinerary, not difficult but complete and original, in order to , make you enjoy your adventure. 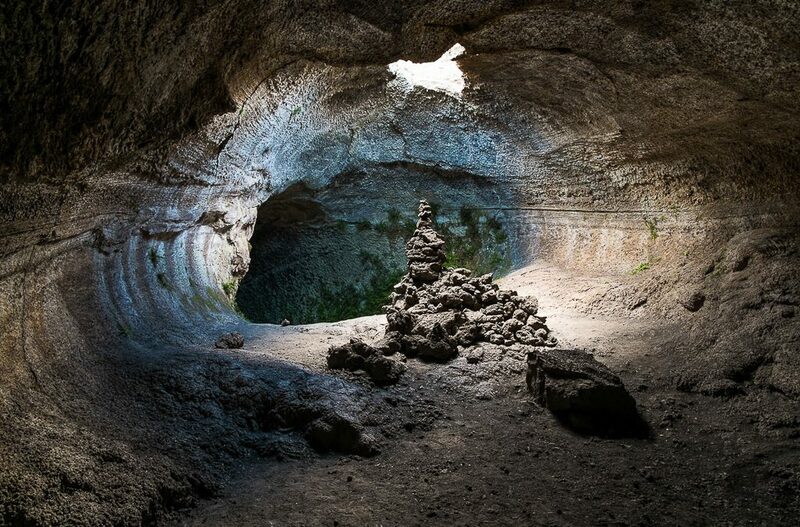 A perfectly balanced excursion between adventure and effort, walking on the edge of the craters of the last side eruption, the incredible lava desert of Etna and discovering the most suggestive caves. 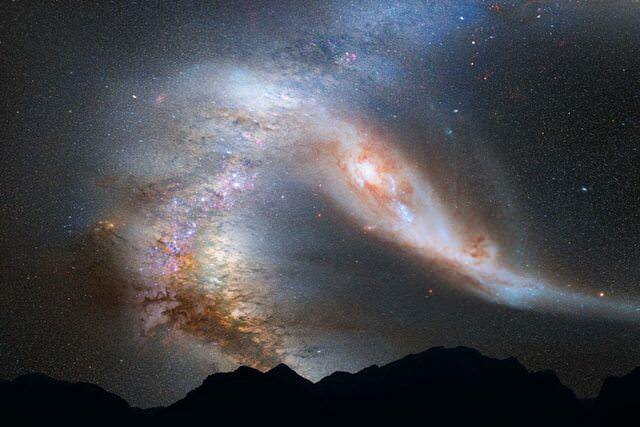 A brilliant combination of the most beautiful features to see on Etna. Meet the guide/s at the village of Milo at 9 am. There you will be provided with packed lunch, water and the necessary equipment for the exploration of lava caves in full safety. Then you reach the area of Piano Provenzana by car and start hiking at around 10.00 am. The return to Piano Provenzana is scheduled for around 6 pm. If you are not going to rent a car, only upon your request, we can arrange a private transfert from Catania (airport, port or city center) to the North East side of Etna, in the area of Piano Provenzana. The transfert is not included in the quotation, and the price will also depend on the number of passengers. Ask for more details. We start the walking path from Piano Provenzana in the direction of Montenero – Timparossa, at an altitude of approximately 1800m. At first we cross the end of the buttonhole of 1928, along the path that leads to the forest of Monte Nero, passing spectacular lava fields and familiarizing with volcanic materials: from the smallest parts like lapilli and scoriaceous materials to massive lavas and lavas rope. From here we climp up the scenographic craters of the 2002/2003 eruption, the so called “perfect one”, theater of such wonder and destruction. Along the way the guide will propose an introduction of volcanology in accordance with his personal research, carried out on behalf of the National Institute of Geophysics and Volcanology, accompanying you in the discovery of this unique and spectacular environment. Without lingering we proceed towards the lava field known as Lave dei Dammusi, a unique succession of “ropes” imprisoned in the rock that set free the visitors’ fantasy. After enjoying the sight we head back to the valley towards the Raspberries Cave. It is a lava tunnel of about 700m and is one of the longest tunnels among the ones discovered. The opening of the cave was created by a split in the roof; this entry divides the gallery into two parts, the downstream portion and the upstream one. With helmets and proper equipment you will visit the entire cavity. Then we will start the gentle descent until we reach again the magical Ragabo pinewood, where its secular trees will greet our walk. The return is scheduled at approximately 6 pm.